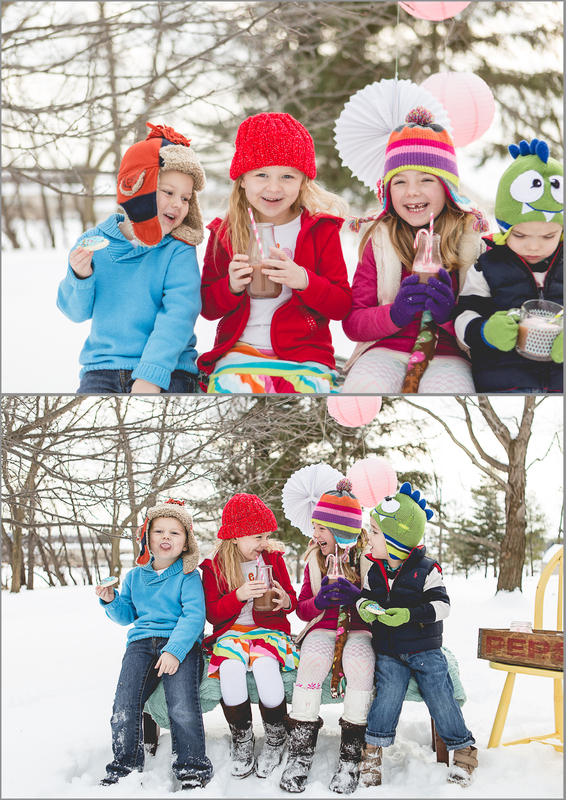 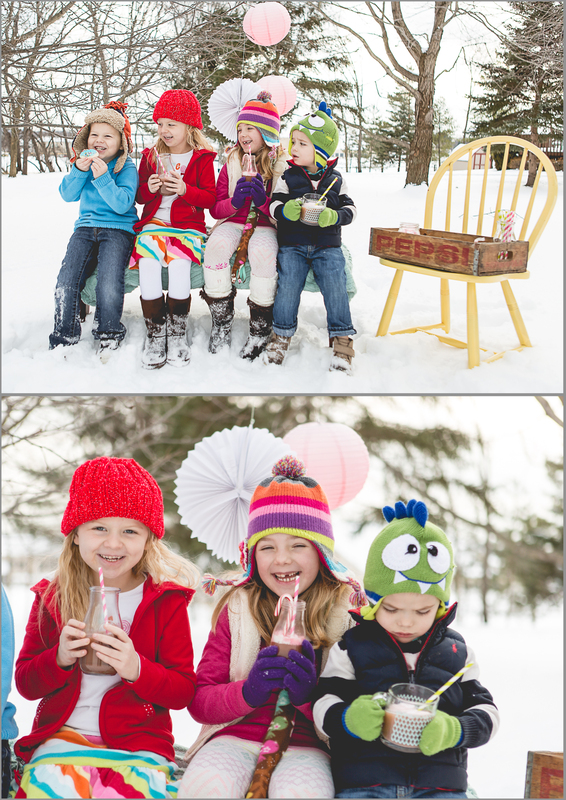 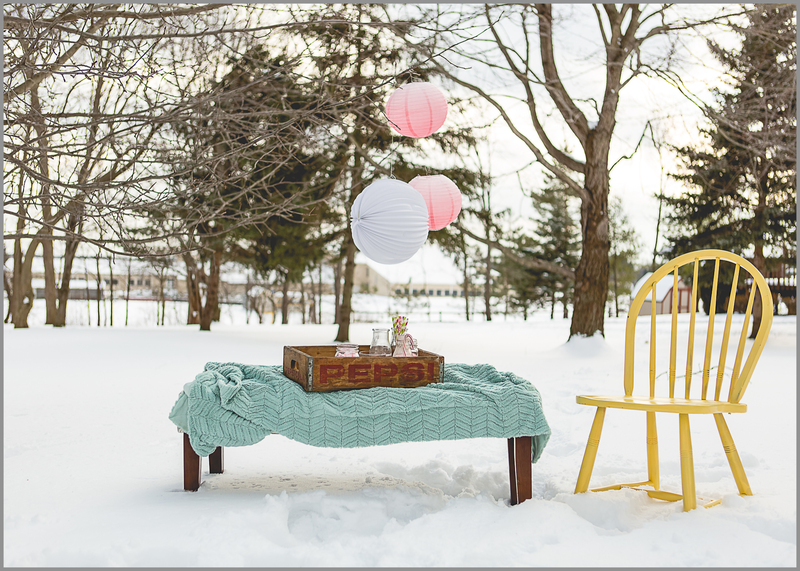 My friend, Mandy and I are always coming up with photo shoot ideas for our kids, like the Lemonade stand we did with the girls a few years ago and the Baseball shoot we did with the boys this past fall. 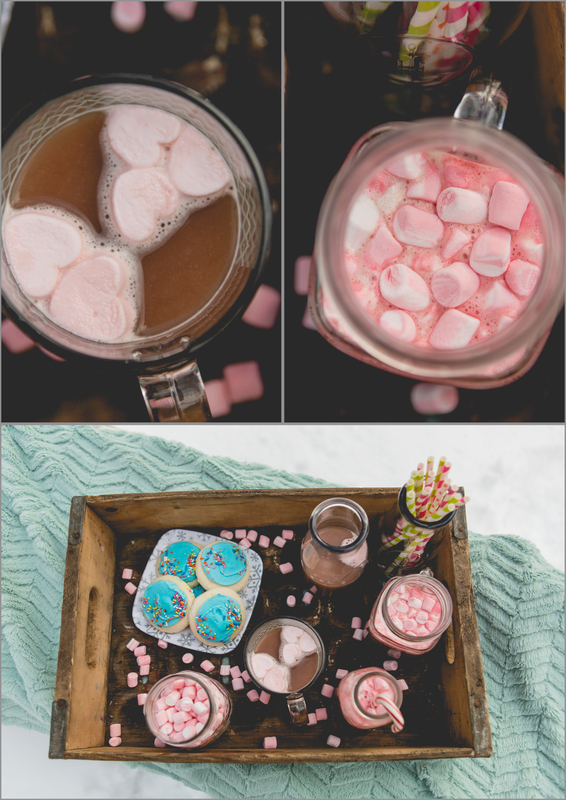 We have been wanting to do something with hot cocoa for quite some time, but decided to wait for some snow. 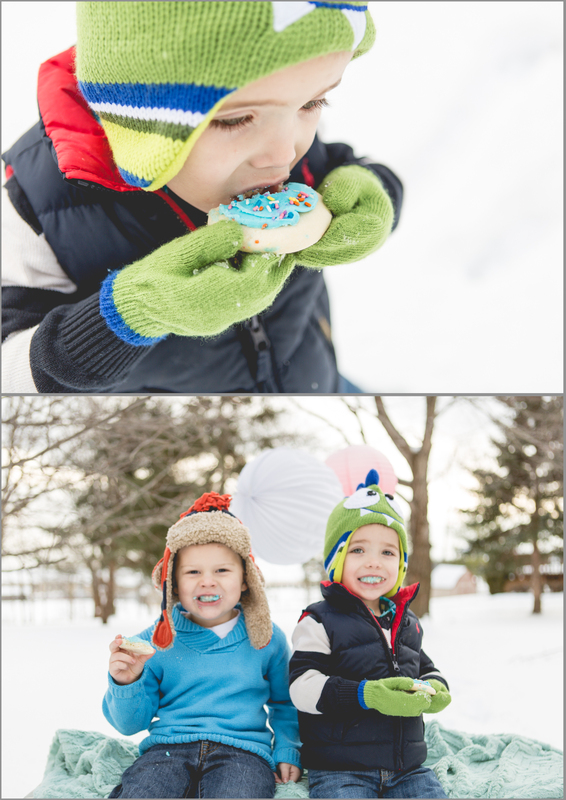 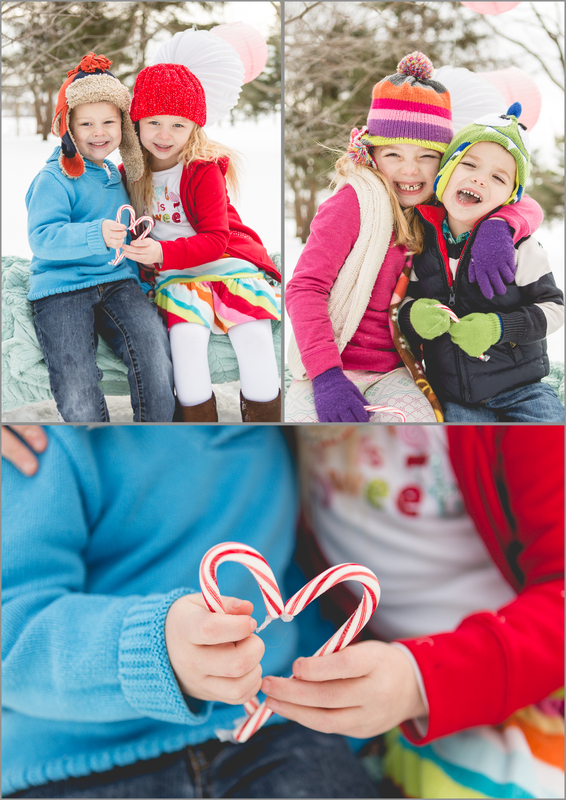 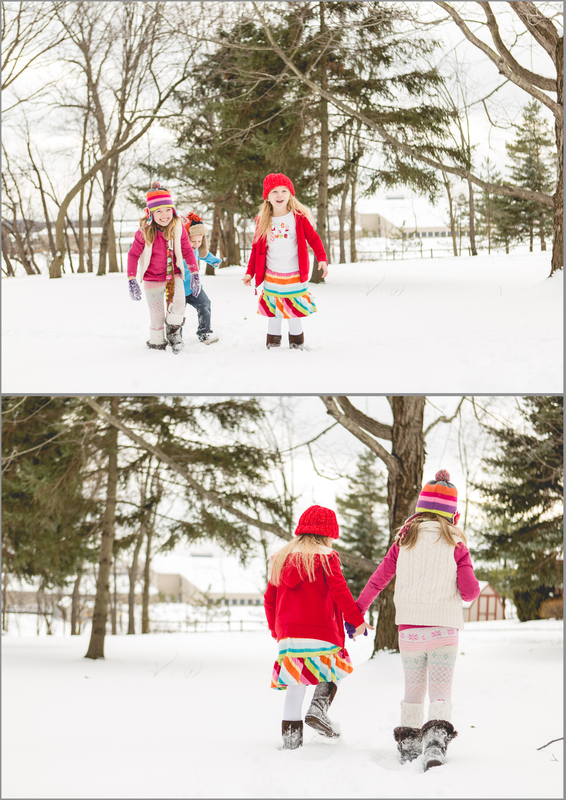 I’m glad we did because I love the way all their bright colors pop against the white! 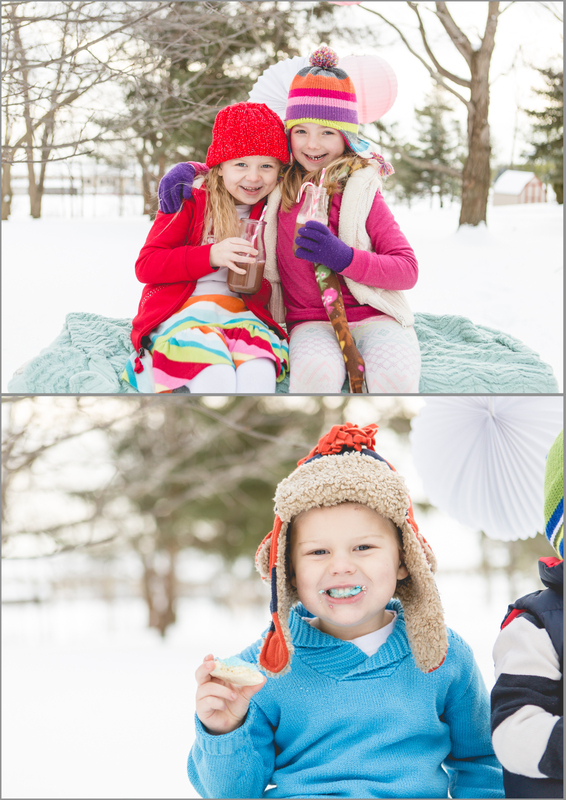 Take notice of how upset Nolan is to be holding hot chocolate and how his mood changes when he gets a cookie instead.